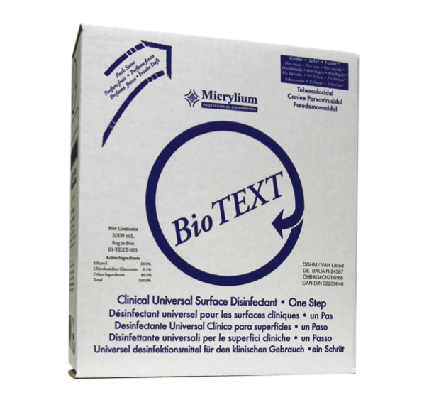 BioMERS Immersion Disinfectant and Holding Solution Not available in USA Disinfection for Immersion of non-sterilizable instruments. May also be used as a holding solution. Full strength product. Non-Corrosive Non-Staining Patient Friendly Rapid Safer With BioMERS Gloves and Mask are not necessary. No irritating vapours like aldehydes Will not corrode metals, even when stainless steel, carbide steel or aluminum instruments are mixed. Items such as dentures or cheek retractors, when soaked, absorb 2-8 % by weight of the disinfectant. 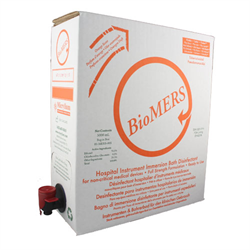 Mucosal irritation caused by absorption of aldehydes or phenols is eliminated with BioMERS BioMERS reaches highest level (TB) disinfection in one minute. Compare with glutaraldehydes at 45 to 90 minutes. Contains NO phenols or aldehydes. Does not contain recently noted hormone disrupting surfactants based on nonyl-phenyl ethoxylates.